A washing machine has become a necessary appliance in our households because we all know that we need clean clothes, not nice to walk around covered in stained covered clothing. 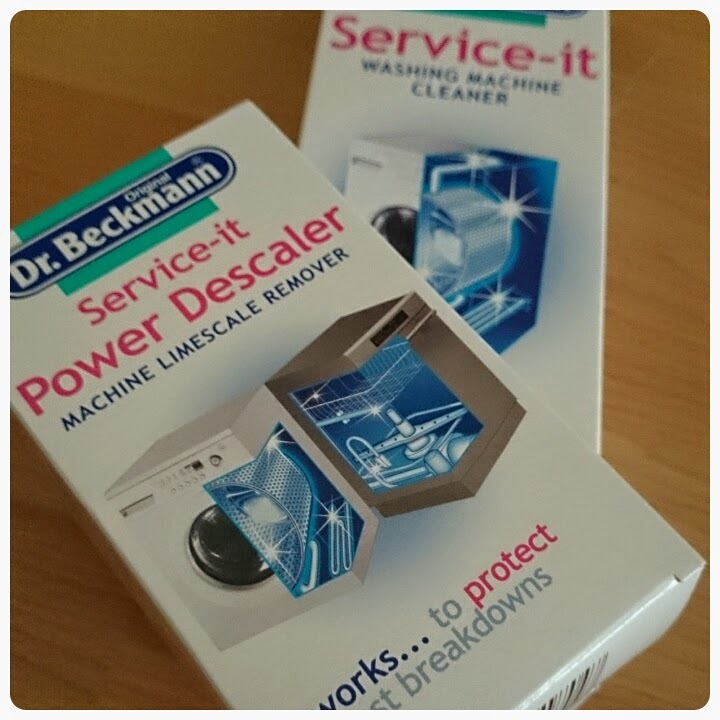 The trouble is, a lot of us, including myself, forget that our washing machines also need a good clean from time to time, this is where the Dr Beckmann Service it range comes in handy. I was sent three items from this range to try out and review, the washing machine cleaner, the deep clean washing machine cleaner and the power descaler. Both the normal cleaner and deep cleaner work together to clean, freshen and maintain your washing machine as well as killing 99.9% of bacteria and micro organisms. Both products are extremely easy to use. The washing machine cleaner comes in liquid form and is poured into the powder drawer and the deep cleaner comes in powder form and is poured into the drum itself, once poured in, turn on your washing machine and start a normal wash cycle and let servic it work its magic. The one thing I wasn't so keen on was the fact that you had to use both products on a 60 degree washing cycle, I like to use 40 or less. What I loved was the fragrance that was left behind once the wash cycle had finished, really fresh, just like my clean clothes smell when they've been washed. The power descaler is harder to review because I couldn't really see a big difference once it had been used, although the drum was somewhat shinier. However I trust that it has done what it said, and that is remove the build up of limescale and this in turn will help prevent any breakdowns, saving me time and money in the long run. Just as simple to use as the other products in the range but what is better is that it is done using a 40 degree wash cycle. The power descaler can even be used in dishwashers!! 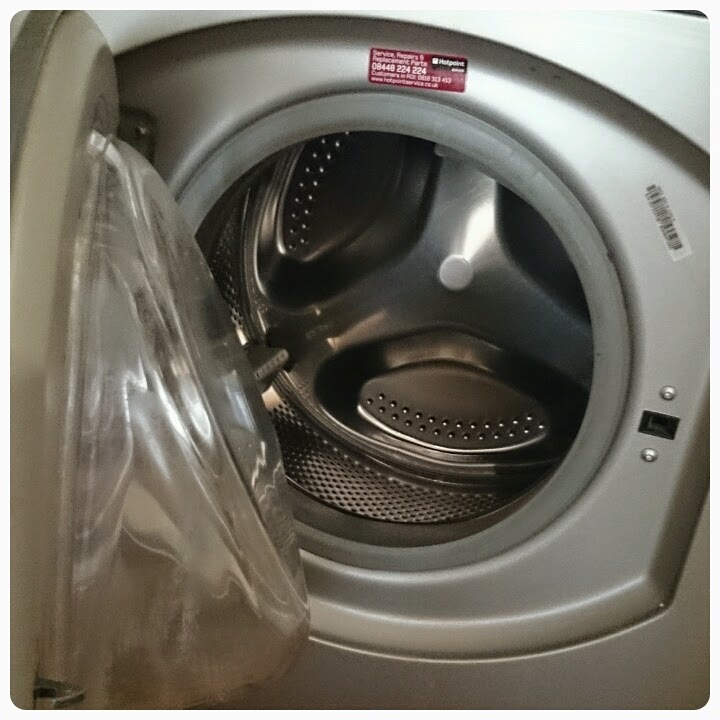 Overall I really liked the products, they left my washing machine looking shiny and smelling wonderful. the washing machine cleaner and deep cleaner both cost £2.99 and the power descaler costs a little more at £3.05. Dr Beckmann recommend that you clean your washing machine every 2-3 months or after around 40 wash cycles so you would only need to buy these 4 times a year at most so pretty good value for money in my opinion, especially if it keeps your washing machine working as it should because we all know how costly repairs can be!! !